Harry Potter\'s the name, doing magic\'s the game. That\'s pretty much what this game is about. Although it is pretty fun, there\'s still some objectionable stuff, contrary to what some people would say. Very old. Although it is on the Gameboy Color, I still thing they could have done better. When you cast a spell, it\'s kind of neat, but otherwise it\'s like the Pokemon games, pretty much. The only times that the graphics are OK are in the small animations, and when you have the bonus challenges. But they\'re still not up to par then, either. The gameplay is actually pretty smooth. You go from one thing to another in order. And it makes a lot of sense. Though I would like to see more of what was in the book. It has almost nothing in it that is in the book. The \'magical encounters\' are about the only things that make it rough. They\'re throughout the whole game, but they\'re almost exactly like the Pokemon games. You cast a spell, the foe bites/poisons/casts a spell at you. They\'re just Pokemon battles without Pokemon. It\'s all right. Nothing special. You go from the train to Hogwarts (the wizarding school), and while at Hogwarts you have all of these challenges, such as going into the forbidden forest, catching a dragon, flying a broom to get a friend\'s \'Remembrall\' back, saving Hogwarts. One of the downsides is that the game just drones on forever! You can replay it, but I really don\'t see why you would want to. Once you\'ve finished, you\'re just going to want to put it in the closet. This is where the game \'goes haywire.\' The different challenges don\'t just go up as you go along, but I was stuck on one thing for several days! And that was right near the beginning! Then, you\'ll have a super easy thing, then a toughy, then a medium, etc. It\'s sort of like real life. But that\'s not what games are made for! It\'s really not very fun all the time, but you get a rest about half the time. 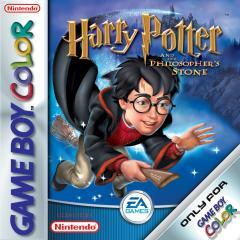 The game is Harry Potter, if that tells you anything. That means that it\'s going to have \'good magic\' and \'bad magic.\' But to God, there isn\'t \'good\' and \'bad\' magic. It\'s all condemned by God. (Isaiah 44:25; Jer. 27:9, 29:8; Ezek. 13:9) There is also violence. When you have a \'magical encounter,\' you fight rats or snakes or mice, and sometimes even humans, with magic. The spells can make them vomit (not shown on the screen) or be petrified, or just plain hurt them. But there is also the good side of the game. You have to fight to save the innocent kids. You fly a broom to get a stolen \'Remembral\' from a school bully. Just things like that.